Some of the most serious deforestation occurs when there are various commodity booms at the domestic and international levels. At such times farmers and large agribusiness enterprises clear forest areas to plant more profitable market crops such as sugar cane and soya beans. 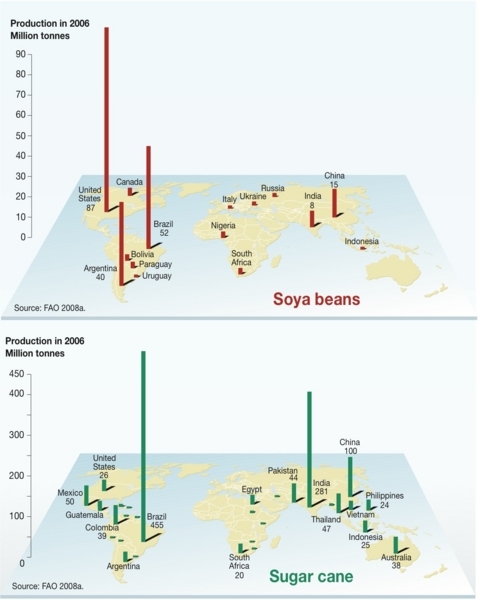 At the present time, the production of soya beans is reaching record levels, with world soya bean production in 2006 reaching about 222 million tonnes. 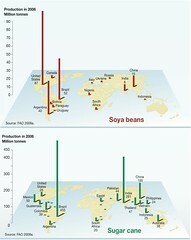 Brazil is the world’s second biggest soya bean producer, accounting for 23 per cent of the global total.